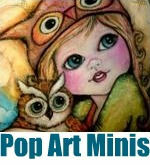 Pop Art Minis: W.I.P. 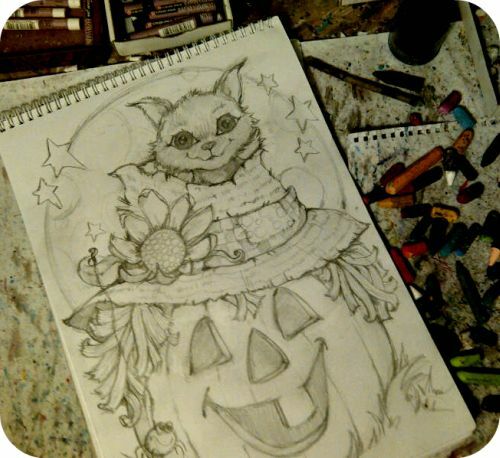 Jack-O-Lantern Scarecrow & A Little Black Cat...Sneak Peek! W.I.P. 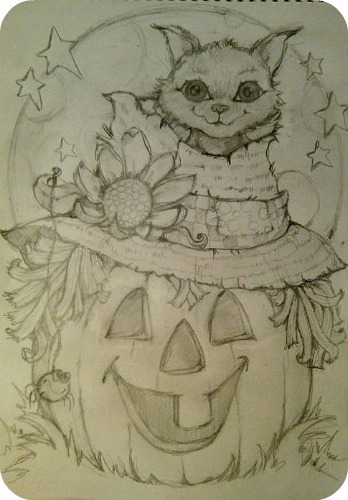 Jack-O-Lantern Scarecrow & A Little Black Cat...Sneak Peek! A silly little spider looking at you and me. The big full moon...shades of yellow you can bet! Sketch is done now comes more fun! 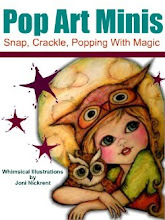 Snap, Crackle, Colorful POPS...coming right up! 5 in a row...? more to go! Have a fave or an idea for a future Christmas in July Mini? THANKS VAL! Have a super weekend! I love this! Looking through your past posts, I'm sure this is going to look gorgeous once it's in color too.